June 28 is Constitution Day in Ukraine. This holiday commemorates anniversary of adoption of the Constitution of Ukraine on June 28, 1996. The Constitution of the Ukrainian SSR was the supreme law in Ukraine till 1995. President of Ukraine Leonid Kuchma and Prime Minister on behalf of the Parliament signed the Constitutional Agreement on June 8, 1995. This agreement had force for a period of time till a new constitution would be drafted. 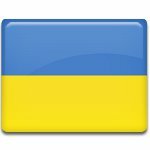 The first constitution of an independent Ukraine was adopted during an overnight parliamentary session on June 27-28, 1996. The constitution took force from time of this annunciation by the Parliament, although the law ratifying the constitution and nullifying previous documents was adopted in the mid of July, 1996. Constitution Day is the only one public holiday, that is stated in constitution. But many Ukrainians see this holiday as one more day off. About 10% of Ukrainians think that this should be a working day, nevertheless Constitution Day is one of the most respected holidays in Western Ukraine.